After a gruelling thirteen hour final day, Roger Teska was crowned the Caribbean Poker Party $25,500 MILLIONS World champion earning the American a massive $2,000,000 payday. 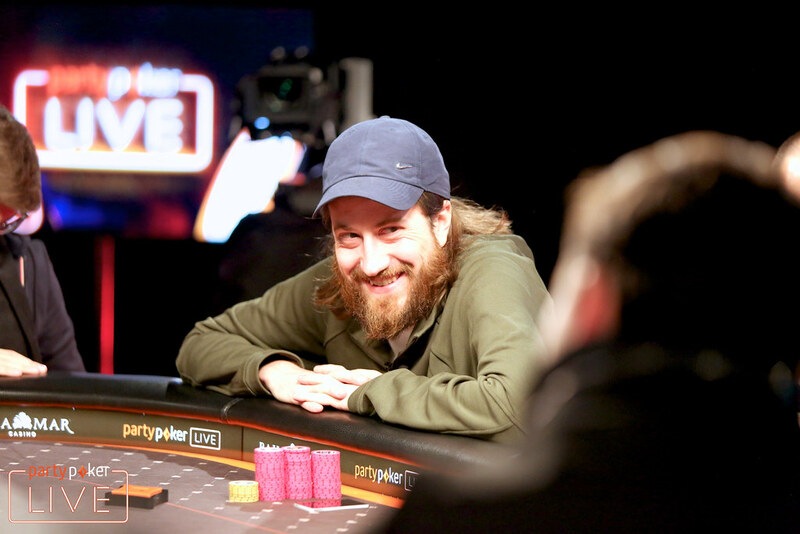 The high-stakes cash game regular defeated Steve O'Dwyer heads-up, with O'Dwyer widely regarded as one of the best heads-up players in the game. "I definitely wasn't expecting to win coming into this (tournament)," Teska said in his winner's interview. "These guys know when to shove, what hands to shove with and I don't. Steve is a better player than I am so I wanted to play bigger pots." Teska hasn't played many tournaments in the past but admits that he enjoys testing his skills against some of the best in the game. This victory smashes his previous career-high score of $371,000, and Teska knows exactly what he's going to do with his major payday. "There might be some partying for the next couple days!" 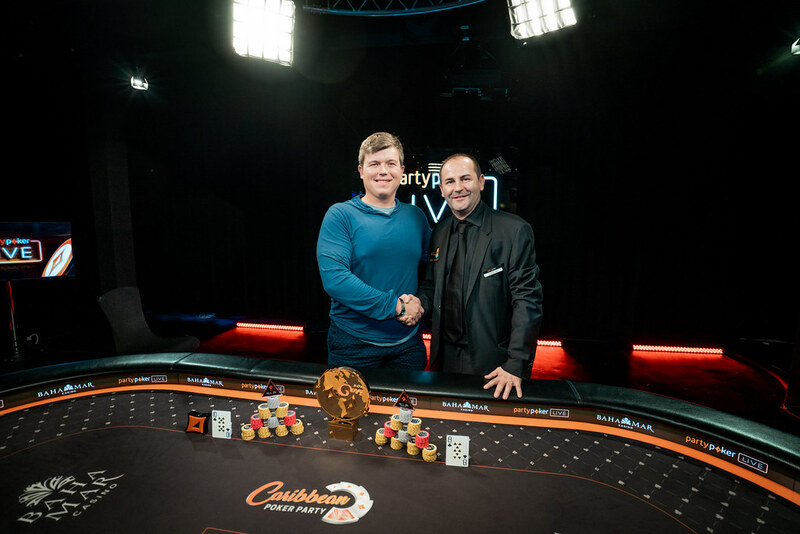 His victory came after four intense days of competition in partypoker LIVE's brand new MILLIONS World tournament, which has proved a huge success here in The Bahamas. A total of 394 players took to the felt to do battle in the $25,000 buy-in event, meaning the tournament was just six entries away from meeting its illustrious $10M guarantee. Fifty-nine players survived to make Day 3, before the field battled through the bubble and down to the final table on Monday. 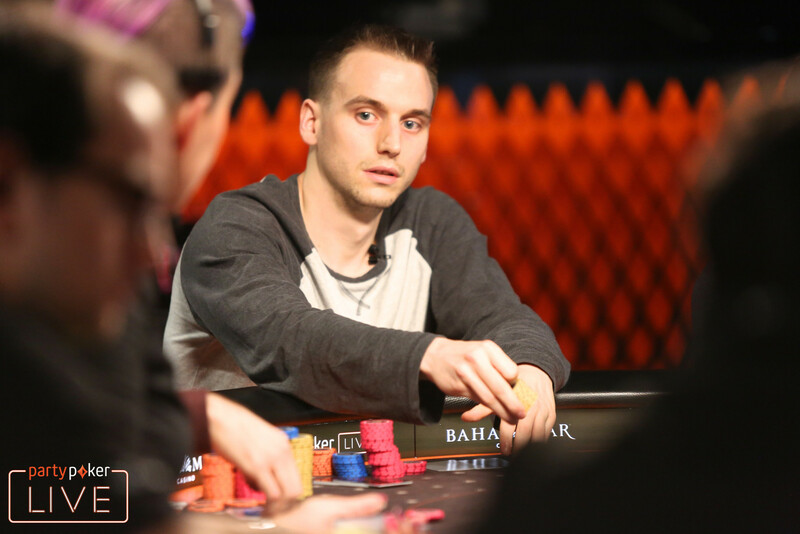 Cary Katz was the unfortunate player to bubble and miss out on the $60,000 min-cash, with Timothy Adams, partypoker pro Joni Jouhkimainen, Benjamin Pollak, Ben Yu, and Joseph Cheong, Geraldo Cesar, Nick Petrangelo, Matt Berkey, and Chance Kornuth among the big names to be eliminated in the money. Only nine players returned to the felt for the final day of competition with each of them guaranteed at least $250,000. Each elimination came with a pay jump and it was evident in the early going that ICM was a key factor. Paul Tedeschi stormed into the final day as the short stack but held the chip lead by the end of the first level. It would take over three hours for the first bustout to occur and it was Joao Vieira to hit the rail first. Vieira eventually got his 17 big blind stack in the middle with pocket jacks but ran into the pocket aces of Tedeschi. 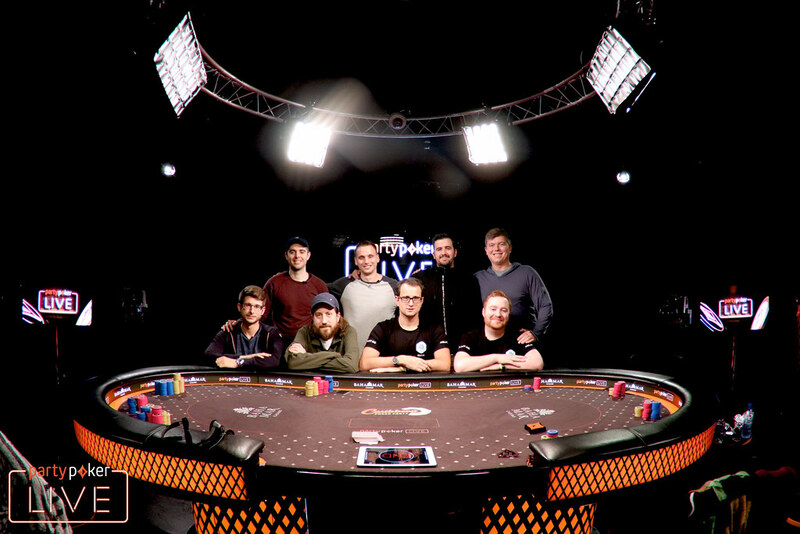 Once the official final table of eight was formed, it didn't take long for Niall Farrell to get his chips in the middle as well. "Firaldo" finally picked up a pocket pair in the small blind but Teska held a larger pair in the big blind to eliminate Farrell in eighth place. Also in the same level, Rainer Kempe found himself on a stack of under 20 big blinds. The German moved in with two Broadway cards but was dominated by the ace-jack of O'Dwyer. An ace came on the flop and Kempe was drawing dead by the turn, ending his day in seventh place. Six-handed play lasted for nearly two hours with the chip stacks fluctuating between all of the players. Ben Tollerene came into the day second in chips and even held the chip lead, but had a bad run of cards over the course of an hour. Tollerene lost a big flip to Teska and was forced all in for just a couple of big blinds in the next hand. He was unable to survive and disappointedly hit the rail in sixth place. When the players were sent on a dinner break, there were only four players remaining. That was after Andras Nemeth built up a stack from five big blinds to second in chips. He then played a monster pot with O'Dwyer for the chip lead and the two players were flipping preflop. O'Dwyer out-flopped Nemeth's pocket pair and Nemeth was ousted in fifth place. O'Dwyer held a monster chip lead after the break and he was comfortable sitting back and watching the small stacks duke it out. Tedeschi and Teska elected to battle with pair vs pair preflop and the stacks nearly level. Teska came out on top which left Tedeschi on crumbs, and he was eliminated shortly after. When three-handed play began, the chip stacks started to level out and it quickly became anyone's game. Charles La Boissonniere jumped out to the chip lead but it didn't take long for O'Dwyer to come roaring back. O'Dwyer started hitting every card in the deck and he built up a massive lead with over 300 million chips. When Teska shoved all in from the small blind with queen-seven, La Boissoniere called off his nine big blind stack with pocket nines. A queen on the flop gave Teska the lead and La Boissonniere was unable to recover as he was eliminated in third place for $1,000,000. 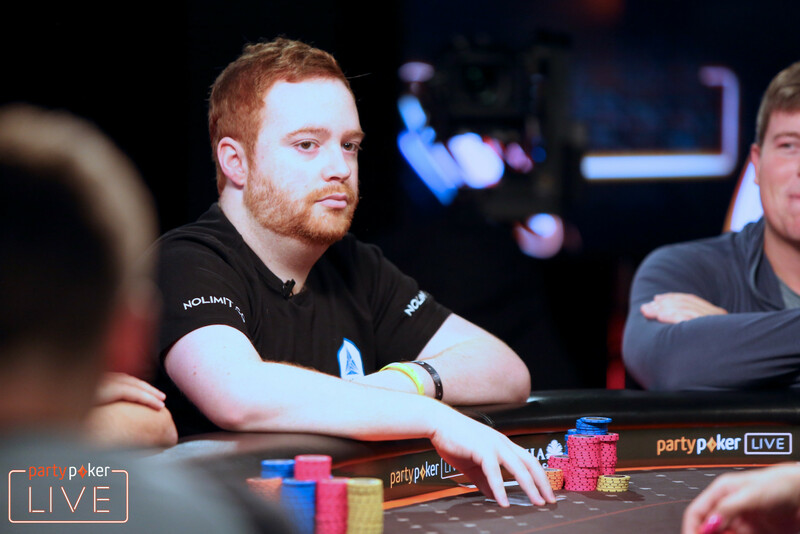 It was 3-to-1 chip lead for O'Dwyer at the start of heads-up play but an instant cooler levelled the match. Teska picked up pocket queens against O'Dwyer's pocket kings and hit a queen on the flop to score a double up. The chip lead swung back and forth a couple of times but the major turning point was when Teska caught O'Dwyer bluffing and earned himself a double up. The players took a quick break and Teska finished things off just a couple of hands later.